Malaria remains a major public health problem worldwide, with an estimated 219 million cases in 2017 , most of which (92%) occurred in the WHO African Region . In 2017, 15 countries in sub-Saharan Africa and India have concentrated almost 80% of the total number of malaria cases in the world . Anopheles gambiae s.s., Anopheles funestus, and Anopheles arabiensis species are the most frequent malaria vectors in sub-Saharan Africa . Anopheles gambiae s.s., the main malaria vector , has two molecular forms (M and S) in sub-Saharan Africa [3–5]. However, the recent work of Coetzee et al. suggested these two molecular forms represent distinct species belonging to the Anopheles gambiae complex. They are respectively called Anopheles coluzzii and Anopheles gambiae. The soar of synthetic insecticides began after the Second World War with the discovery in 1939 of the insecticidal properties of dichloro-diphenyl-trichloroethane (DDT) by Müller. Several families of insecticides have been developed over the years. These include pyrethroids, carbamates, organochlorines, and organophosphorus [11, 12]. From the organochlorine family, DDT, a first generation insecticide, has helped reduce or even eradicate malaria in some countries, especially those in Europe [13, 14]. However, its intensive and repeated use has led to the appearance of numerous cases of resistance, therefore limiting its effectiveness . In addition, its high bioaccumulation capacity, its persistence in the environment, and its toxicity in mammals have led to its ban in many countries . Currently, pyrethroids are the insecticides used against mosquitoes in public health and against crop pests [17–19]. Ecologically, Akogbéto et al. reported that several species of mosquitoes, in particular Anopheles gambiae s.l., lay their eggs in cottages located near cultivated areas. These eggs are susceptible to insecticide exposure during crop pest treatments. These same authors have shown that pesticide residues could be found at ground level during metamorphosis of mosquito larvae. Hybrid forms were only observed in three localities of the studied agroecological zones (Cotonou, Porto-Novo, Ifangni). These results confirmed that Anopheles coluzzii and Anopheles gambiae are distinct species whose biological separation is not nearly complete. Coetzee et al. have shown that Anopheles gambiae and Anopheles coluzzii are two distinct species. 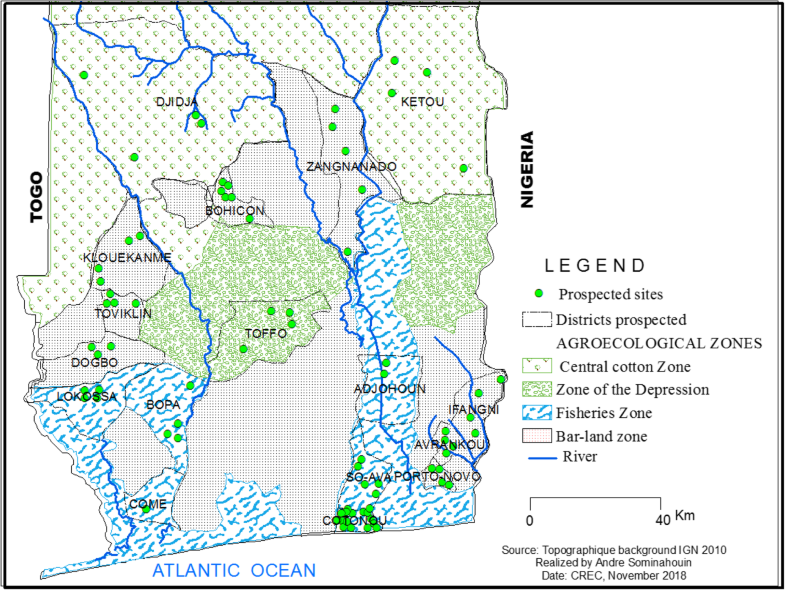 Nevertheless, in the agroecological zones studied, Anopheles coluzzii and Anopheles gambiae live in sympatry. This remark reflects an adaptation of these two species to different breeding sites and ecology. Several studies have proved the sympatric life between the different species of Anopheles gambiae complex and even with other kinds of mosquitoes [42–44].